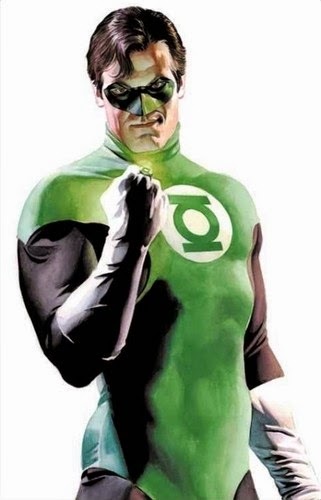 A Pius Geek: THIS! IS! Sparta! x2 -- Blog #600: What is this blog about? THIS! IS! Sparta! x2 -- Blog #600: What is this blog about? 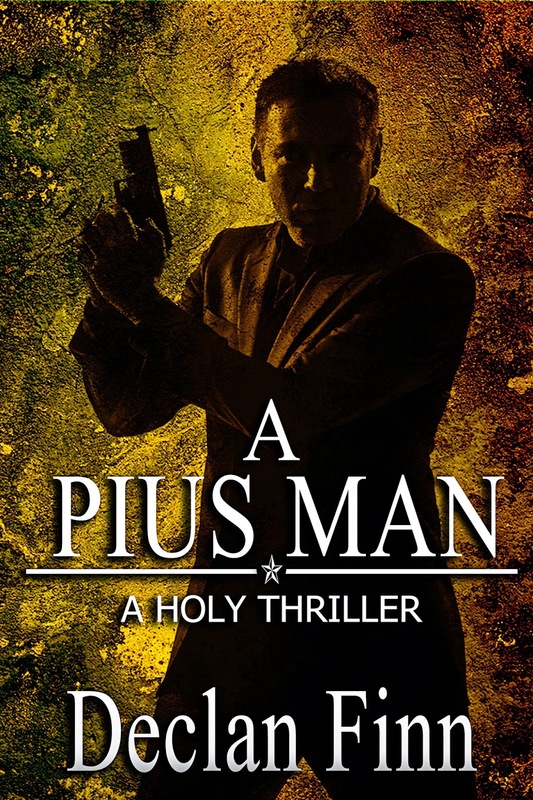 When I started this blog five years ago, it was to drum up publicity for A Pius Man: A Holy Thriller. Now, the entire Pius trilogy has come out. Books two and three came out last year. Seriously, what the hell are we still doing here? Especially now that the Puppies have taken over the blog? And people wonder why I don't read comments on most websites. The term "cesspool of stupid" comes to mind. Who allows these people out in public? Also ... it's about marketing. 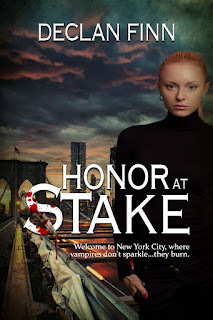 I'm not dead yet and I'm still writing and publishing books. I have a publisher now, and I'm not afraid to use them. I've got a book coming out in September, damn it. I need all the help I can get. 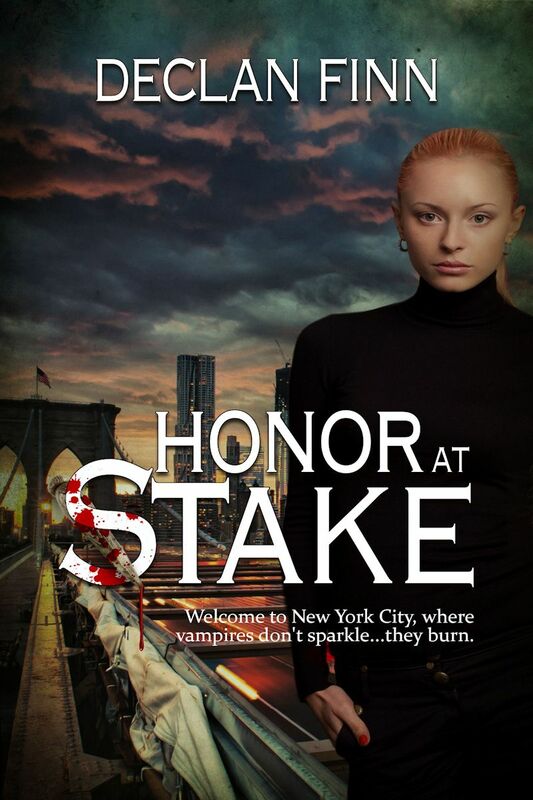 (Honor At Stake, from Eternal Press, due September 1st -- subtle plug, subtle plug). That's why I've allowed my brain to be taken over by a parody universe that won't leave me alone. 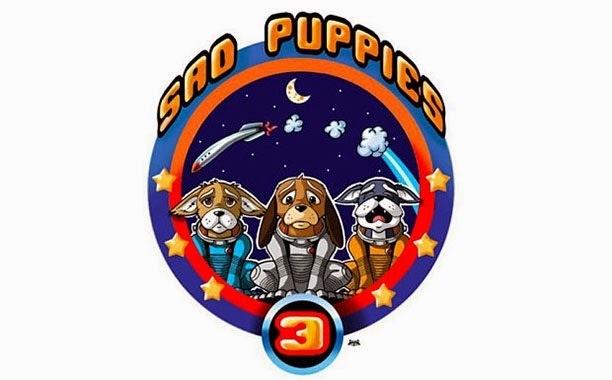 I mean, it's not like I can make money on Sad Puppies Bite Back, despite how popular it is. And yes, for the record, I cannot make money on it at this point. Can. Not. Why not? Because I use the real names of real people, like George RR Martin, and Scalzi, and the Haydens, David Gerrod, Moshe Feder, and additional psychos. Yes, they're parody -- and boy, are these guys parody -- but there are also lawyers, and you don't need to have a leg to stand on to file a lawsuit. And while I would probably win any lawsuit, and any countersuit, the legal fees would probably kill me before we got to the countersuit phase. If, as has been suggested, I end up with a Sad Puppy nomination for "Best Related Work," I might consider publishing it. However, even though I can't sell it, Sad Puppies Bite Back has brought hundreds of people to my blog, and has improved my sales a lot. It won't get me into the big money territory, but it's a lot more than I've been getting. As for all you newcomers who want a laugh, or want a book recommendation, or some music to listen to as you pen your destruction of an alien civilization, or comic book trivia, or just want to look into the brain of a deeply deranged writer, welcome, my friends, to The Pius Trilogy. I'd never heard of File 770 until I started seeing references to it here and a few other columns I access daily. Finally got around to looking at it. I don't see anything terrible or stupid there - in fact, there are several quotes from Peter Grant, you, & Vox Day. These quotes weren't presented in a condemnatory manner, either. AFAIK, F770 seems to be a pretty decent over-view of what's going on in the industry (although I found it boring to read the long lists of who-won-what at cons, I can understand how that would makes those winners feel good) and its spin-offs (such as the new Star Trek Communicator cellphone case). My point is: Why is F770 spoken of so derogatorily? Mike Glyer isn't the problem. Personally, I don't mind his posts. The problem? The people who comment there. There is no moderation, no civility, and general mayhem. Try reading some of the comments some days. Short version? I'm told that Clamps / Marston comments there regularly, and is accepted into their tribe as one of their own. That's the problem. Some people want to attribute it to Glyer not moderating -- though how you moderate a few hundred comments a day and still have a life, I don't know. But there are days that his blog seems to have become a hangout for every deranged puppy kicked on the planet. My "worst" experience with 770 is that, once, I posted a Sad Puppies Bite Back link into their comments. I saw what you did: "Someone quoted me? Huh. Maybe they'd be interested in the followup." Commenters then screamed that Sad Puppies Bite are death threats. Uh huh. File 770 cites the tweet and says: "Declan Finn is a man of great simplicity of mind." 770: "Very brave, Declan, pretending what I said about you was addressed to Sad Puppies in general. 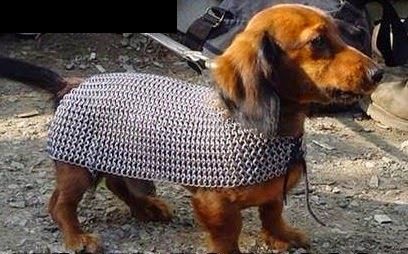 Now go and change your armor…"
Yes, even though I wrote it in the format of the "Sad Robot Puppies" ... the people I tagged in *both* tweets .... because I was expecting them to steal it BOTH TIMES, hence the format.... no, Glyer used the opportunity to make it seem like I was blowing up his comment instead of MAKING FUN OF IT. But Glyer couldn't be bothered to pay attention. I'm told he does that a LOT, though that was my only experience with it. I hope that explains it somewhat.